The first step to getting appropriate treatment is to visit a doctor. Certain medications, and some medical conditions such as viruses or a thyroid disorder, can cause the same symptoms as depression. A doctor can rule out these possibilities by conducting an interview and lab tests. A psychiatrist will complete a full evaluation to determine if he or she suffers from depression. Once diagnosed, a person with depression can be treated with a number of methods. The most common treatments are a combination of medication and cognitive behavioral therapy. Everyone occasionally feels blue or sad, but these feelings are usually fleeting and pass within a couple of days. When a person has a depressive disorder, it interferes with daily life and normal functioning, and causes pain for both the person with the disorder and those who care about them. 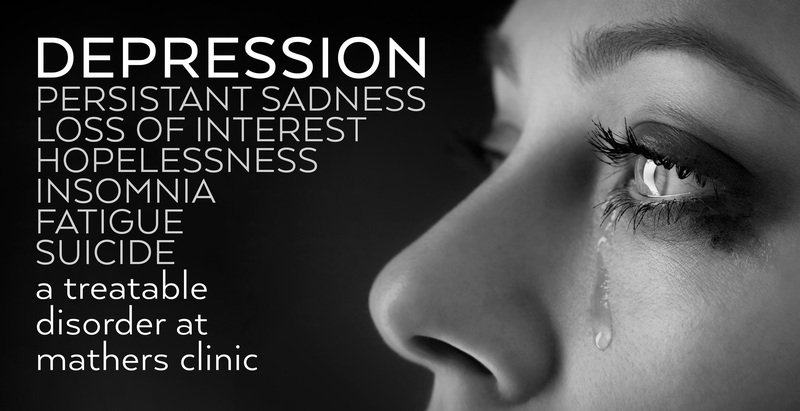 Depression is a common but serious illness, and most who have it need treatment to get better. Depression is a treatable illness. Depression affects both men and women, but more women than men are likely to be diagnosed with depression in any given year. Efforts to explain this difference are ongoing, as researchers explore certain factors (biological, social, etc.) that are unique to women. Many women with a depressive illness never seek treatment. But the vast majority, even those with the most severe depression, can get better with treatment. Learn about TREATMENTS FOR DEPRESSION. Please download, print and fill out the form below. Do you need Adobe Acrobat Reader DC? It’s free – CLICK HERE. Antidepressants work to normalize naturally occurring brain chemicals called neurotransmitters, notably serotonin and norepinephrine. Some antidepressants work on the neurotransmitter dopamine. Scientists studying depression have found that these particular chemicals are involved in regulating mood, but they are unsure of the exact ways in which they work. The newest and most popular types of antidepressant medications are called selective serotonin reuptake inhibitors (SSRIs). SSRIs include fluoxetine (Prozac), citalopram (Celexa), sertraline (Zoloft) and several others. Serotonin and norepinephrine reuptake inhibitors (SNRIs) are similar to SSRIs and include venlafaxine (Effexor) and duloxetine (Cymbalta). SSRIs and SNRIs are more popular than the older classes of antidepressants, such as tricyclics–named for their chemical structure–and monoamine oxidase inhibitors (MAOIs) because they tend to have fewer side effects. However, medications affect everyone differently–no one–size–fits–all approach to medication exists. Therefore, for some people, tricyclics or MAOIs may be the best choice. For all classes of antidepressants, patients must take regular doses for at least three to four weeks before they are likely to experience a full therapeutic effect. They should continue taking the medication for the time specified by their doctor, even if they are feeling better, in order to prevent a relapse of the depression. Medication should be stopped only under a doctor’s supervision. Some medications need to be gradually stopped to give the body time to adjust. Although antidepressants are not habit–forming or addictive, abruptly ending an antidepressant can cause withdrawal symptoms or lead to a relapse. Some individuals, such as those with chronic or recurrent depression, may need to stay on the medication indefinitely. Sometimes stimulants, anti–anxiety medications, or other medications are used in conjunction with an antidepressant, especially if the patient has a co–existing mental or physical disorder. However, neither anti–anxiety medications nor stimulants are effective against depression when taken alone, and both should be taken only under a doctor’s close supervision. Repetitive transcranial magnetic stimulation (rTMS) uses a magnet instead of an electrical current to activate the brain. First developed in 1985, rTMS has been studied as a possible treatment for depression, psychosis and other disorders since the mid-1990’s. Clinical trials studying the effectiveness of rTMS reveal mixed results. When compared to a placebo or inactive (sham) treatment, some studies have found that rTMS is more effective in treating patients with major depression. But other studies have found no difference in response compared to inactive treatment. In October 2008, rTMS was approved for use by the FDA as a treatment for major depression for patients who have not responded to at least one antidepressant medication. It is also used in countries such as in Canada and Israel as a treatment for depression for patients who have not responded to medications and who might otherwise be considered for ECT. Does your child suffer from depression? Childhood depression is a risk factor for developing a number of other mental-health symptoms and disorders. It is the leading cause of disability in the United States for people over 5 years of age. Symptoms can include a depressed and/or irritable mood or loss of interest and/or pleasure for at least two weeks. 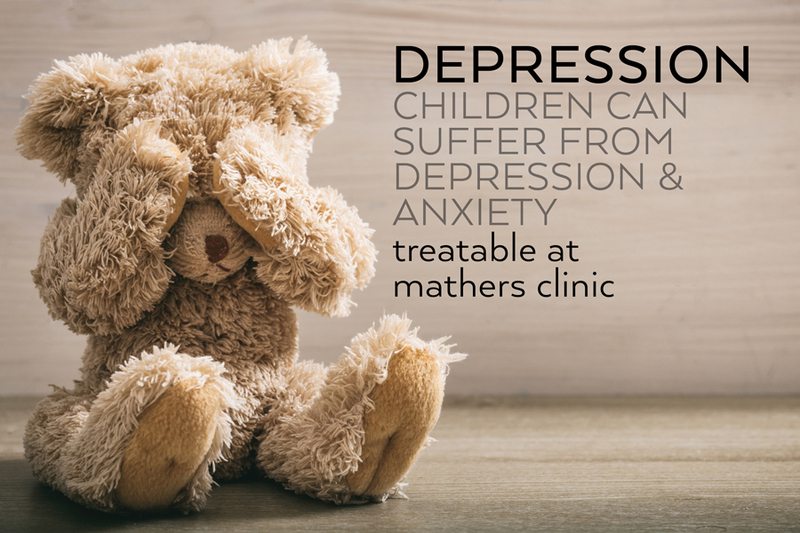 Family members and friends are advised to seek mental-health assessment and treatment for children showing signs of depression.